HoloLens developer Arvizio has expanded its collaboration suite of tools for enterprises with a device that can stream and record mixed reality experiences in high-definition for local and remote audiences. Launched earlier this year, MR Studio enables enterprises to created mixed reality experiences and present content between multiple HoloLens users in the same location. Remote audiences are able to view the same content via devices running Windows or Android through a dedicated app or a secure browser link. 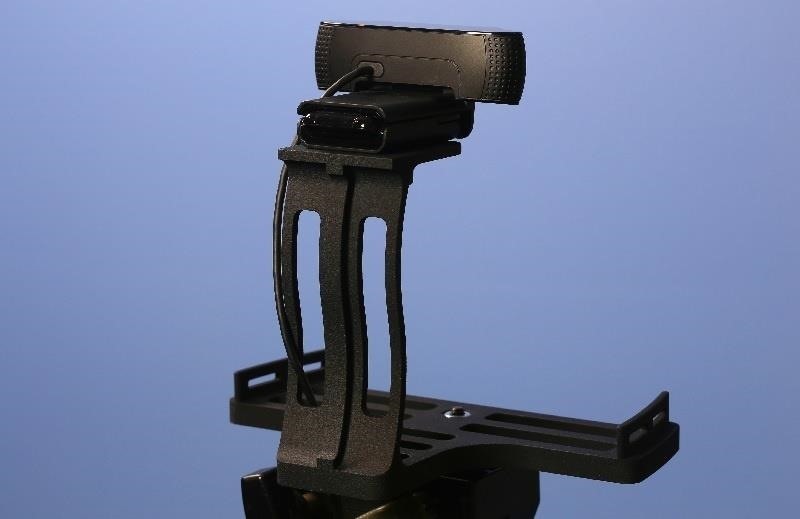 MR Studio ViewPoint is a new client device that utilizes a depth-sensing camera to capture the real world scene and participates in a sharing experience with HoloLens devices. While MR Studio allows the HoloLens wearers to view the same 3D models, ViewPoint streams the content to other audiences with the same level of detail available to HoloLens. The audience is also able to view any annotations made by the HoloLens participants. "Many of our customers have expressed a need to stream and record the entire mixed reality experience in high definition but the cost and complexity of such solutions has been prohibitive. ViewPoint provides the ability to share the mixed reality experience with local and remote audiences. This is extremely useful for demonstrations, training, education and many other collaborative situations," said Jonathan Reeves, Arvizio CEO, via a statement provided to Next Reality. ViewPoint's calibration is done with the HoloLens and does not require any special calibration patterns. After calibration, a dedicated headset is not required to view mixed reality experiences, which makes the ViewPoint a cost-effective setup for enterprises with multiple locations. MR Studio will be available for demonstrations at Mobile World Congress Americas 2017 on Sept. 12-14 at the Moscone Center in San Francisco.